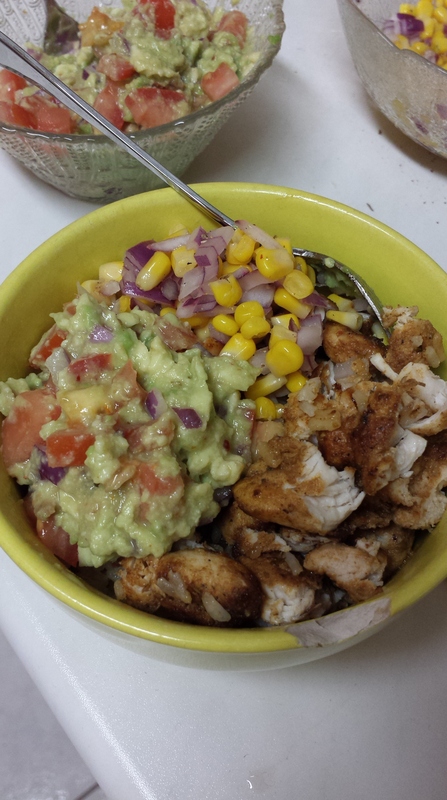 So I saw this Buzzfeed post recently about copycat recipes from chain restaurants and decided to make a chicken burrito bowl for one seeing as my other half was at Oktoberfest. Now I haven’t been to America, but I figured that since people want these recipes, they must be good! Place the chicken in a Ziploc bag. Add the oil to the bag, seal it, and toss the chicken inside the bag until coated in oil. 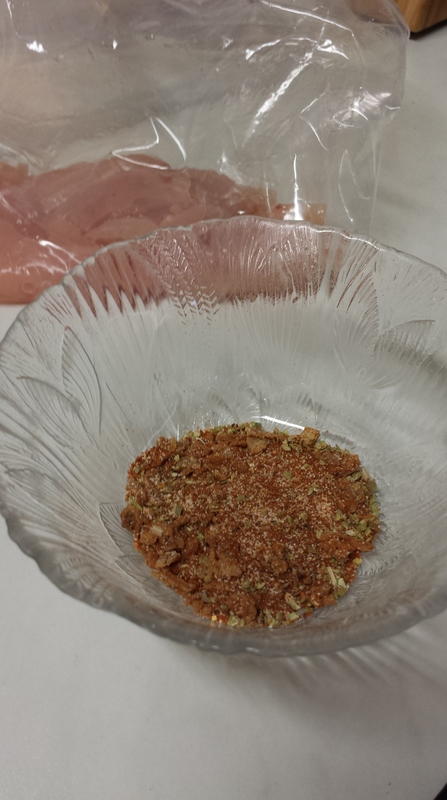 Mix all the seasonings in a small bowl then pour them into the chicken bag. Seal it and toss until all of the chicken is coated with the seasoning mix. Refrigerate the chicken in the bag for at least 4 hours and up to 24 hours. When ready, grill each side of the chicken for 5 to 6 minutes until chicken is cooked through (I cooked mine in a pan). Set the chicken aside before cutting. Prepare the corn mixture by combining all the ingredients in a medium sized bowl and mixing well. Set aside. Make the guacamole by mashing the avocado with a fork, then add the rest of the ingredients and mix well. Dice the chicken into cubes. Create a bed of rice into the bottom of a bowl then add the toppings on top. Enjoy!